Taking Sai Gon Giai Phong reporters for tour of the now spacious roads in residential areas along Phan Xich Long Street in Phu Nhuan District, Le Thi Anh Hong, secretary of Communist Party cell of Ward 1, said that local residents had donated funds and land to build the roads and broaden alleys. The ward Party committee and authorities told local dwellers that the road conditions were very dangerous when fires occurred in these narrowed alleys and broadening the alleys would ease traffic pressure on some large roads around the ward. To transform tortuous alleys into spacious roads, the authorities would need cooperation from local residents. The ward authorities then organized a host of meetings with residents on building new roads. With the authorities’ assistance moving electric and water clock systems, as well as in adjusting property papers, hundreds of households in the ward had voluntarily “cut” parts of their properties, including their homes, to broaden the alleys. For instance, to enlarge Doan Thi Diem Street, 30 households donated 654 square meters of their properties, worth VND33 billion (US$1.7 million) at that time. 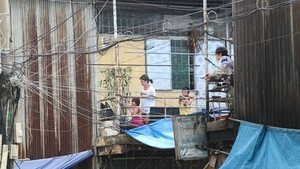 To connect Doan Thi Diem Street’s Alley 29 to Phan Xich Long Street and Cau Cut Drain, 107 ward households donated 468 square meters, worth VND7.9 billion (US$421,000). Alley resident Nguyen Thi Hong Linh said that Party old members led by example, donating their properties for road construction first, thus, residents were willing to follow. 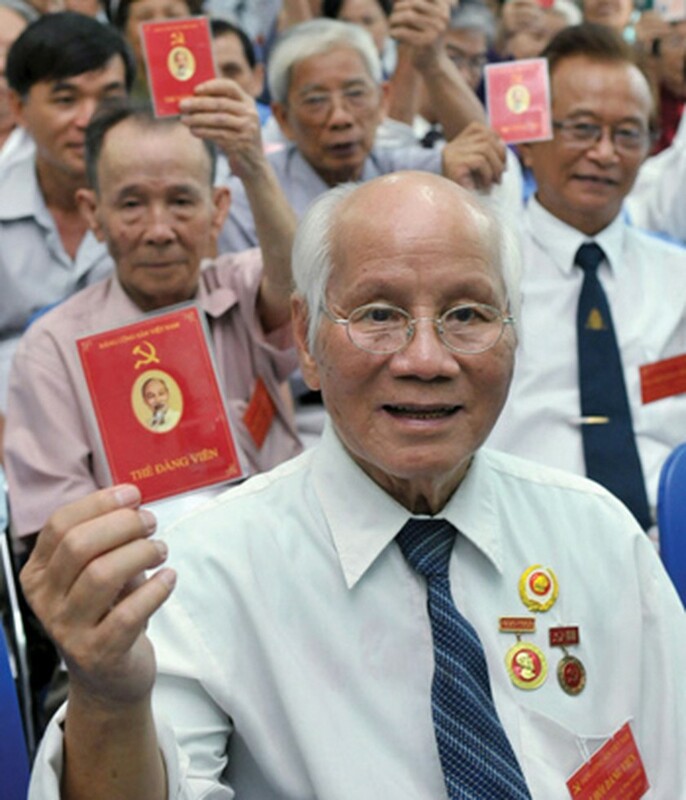 At the Ward 1 Party committee congress held on May 8, the ward People’s Committee and deputy secretary of the ward Party committee Duong Van Long proudly reported success in carrying out missions of 2005-2010 term. “Residents had donated a total of 2,142 square meters of properties worth VND76 billion (US$4 million) to broaden three alleys, one road and donated nearly VND200 million (US$10,000) to build drainage systems as well as paved alley faces with concrete, creating a new look for the ward,” he said. Sharing her experiences on how to get residents’ support and assistance in broadening and building the new safer roads, Ms.Hong said that the ward had transparently used the donated land and funds to build these improvements to the public infrastructure. In addition, all administrative procedures were posted on boards so that all residents could grasp thoroughly. Moreover, the ward also tasked its officials to directly receive residents’ opinions and listen to opinions of retired Party members. Most questions residents raised were thoroughly resolved. For issues that the ward could not handle, officials reported to districts’ authorities to seek solutions. The ward officials also kept residents updated about how their proposals were progressing. At the congress, several delegates said that the ward’s success in upgrading the infrastructure system had resulted from a big contribution of young, enthusiastic and creative officials, who had learned from elder generations, how to carry out their tasks. The Party committee congress also agreed to pursue specific missions for the 2010-2015 term, including widening two more alleys, projects which would also depend on assistance from residents and that 100 percent of their complaints would be addressed. By 2014, the ward also plans to eliminate the ward’s economically deprived households, with average income under VND12 million a year. On the sidelines of the congress, HCMC Party Committee Secretary Le Thanh Hai met with young Party members nominated for positions on Ward 1’s executive committee, standing committee, Party committee secretary and deputy secretary for the term of 2010-2015.